If you are a US military veteran of any war, conflict, crisis or intervening period, we want to interview you; please contact us. Your story does not have to be action filled, just a narrative of military life on a particular ship/station/location will do. These interviews will be recorded on video if you can come to the Battleship New Jersey in Camden, NJ. If you are too far away or have limited mobility, we can do a video recording using the Internet and Skype software or an audio recording over the telephone. Contact us for more information. These recordings are called Oral Histories. 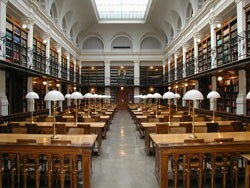 Oral history collects spoken memories and personal commentaries of historical significance through recorded interviews. An oral history interview generally consists of a well-prepared interviewer questioning an interviewee and recording their exchange on audio or videotape. Tapes of the interview are transcribed, summarized, or indexed and then placed in a library or archives These interviews may be used for research or excerpted in a publication, radio or video documentary, museum exhibition, dramatization, or other form of public presentation. From: Ritchie, Donald A., Doing Oral History: A Practical Guide, 2nd ed., Oxford University Press, 2003, p. 19. 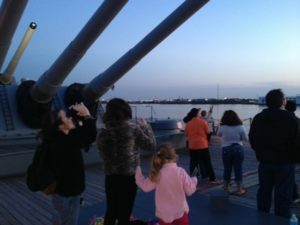 We are a group of people on the Battleship New Jersey Museum and Memorial in Camden New Jersey who serve by honoring those who served and preserving their narratives. We have been done over 300 oral history interviews of U.S. military veterans since the start of the program in 2000. Oral History is a recorded interview of an eyewitness to history, told in the witness’ own words. Our program specializes in military veterans. Most of our veterans’ stories are video recorded. 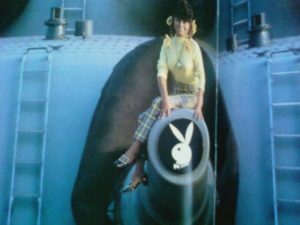 We specialize in US Navy veterans, but interview members of other US armed forces, civilian workers and museum volunteers as well. 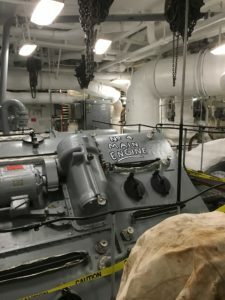 We also specialize in veterans of the Battleship New Jersey, but crew members of other vessels tell their stories also. We have interviewed veterans from World War II, the Korean conflict, the Vietnam War, conflict in the Middle East, the recent wars in Iraq and Afghanistan, and the intervening years. Walker T. Jason, USN, BM 1/c, WWII, 1942-45 & Korea, 1950-51, USS New Jersey, (BB-62), Mount Captain, 5: gun; interviewed 25 Nov 2011. Miriam Rossetti, USN WAVE, Storekeeper 3/c, WWII, 1944-45, Naval Air Station New York, Floyd Bennett Field; interviewed 19 Mar 2014. We not only make the recorded interviews available to researchers, historians, writers, educators, and the general public, but also provide a DVD/CD recording of the interview to the veteran, so he or she can share it with family and future generations. Our recorded interviews are shared with the Veterans History Project of the Library of Congress in Washington, DC and the New Jersey State Library in Trenton, New Jersey, subject to permissions and any restrictions by the interviewee. Some of the interviews will be made available online by these institutions. If you have a desktop or laptop computer and a webcam (camera), we can do a video interview and recording over the Internet using Skype software, which is free and easy to download from the Internet to your computer. We can do an audio only recording over the telephone (toll-free). Most interviews run 30 to 60 minutes. 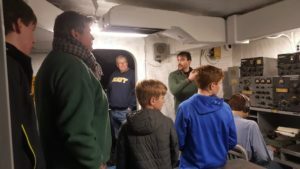 If you would like to volunteer to help the oral history program of the Battleship New Jersey, contact us. We need help in scheduling, setting up and conducting interviews, videography, audio recording, editing video & audio recordings, coding of interview content for digital search, including: abstracting, transcribing, indexing by keyword and/or subject; data entry into a database, generation of DVD/CDs, distribution of recordings, record-keeping, fundraising, and related administrative work. If you have experience in any of these areas, great, but it is not necessary as we provide training. The years we have been doing interviews have taken a toll on the equipment provided by the original funding grants and need replacement badly now. We would like to transition to newer technology, such as digital memory and hard disks for recording video instead of tapes. However, these technologies require more recent computer equipment than we have. We ask you to help us preserve and honor the memories of those who served their country. Can you donate funds or needed equipment, so we can sustain this program? The veterans we interview and their families will thank you for your contribution. Generations of future historians, writers, educators, and students will also thank you. Your contribution will be acknowledged on the Battleship New Jersey. 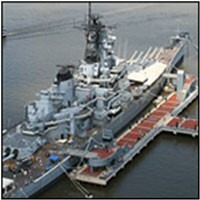 Your contribution may be tax deductible as the Battleship New Jersey is a 501(c)3 non-profit organization. Make your check or money order payable to Battleship New Jersey & write Oral History Program in the memo field or on an attached note. Mail to: Battleship New Jersey Museum & Memorial, Oral History Program, 62 Battleship Place, Camden, NJ 08103. The program was started in 2000 by Professor Emeritus Dr. Thomas Banit, while he was professor of history and education at Kean University in New Jersey. Most of the initial funding went to purchase video recording and transcribing equipment and a computer. We have done over 300 interviews, most aboard the Battleship New Jersey, but we have other ways to interview as well. 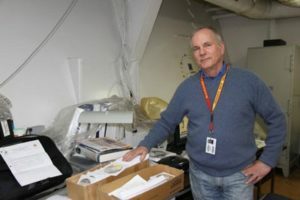 Interview of Dr. Thomas Banit, founder of the Oral History Program of the Battleship New Jersey (https://youtu.be/A_6wLYOWXmQ).